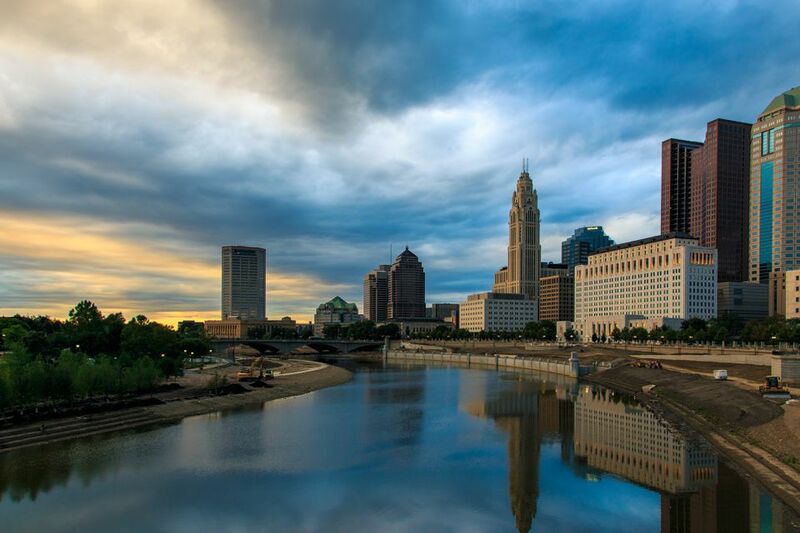 Labor Day, on the first weekend in September, is summer's last hurrah, and Columbus makes this holiday weekend count. Although most locals spend the weekend by the pool, grilling out with friends, there are plenty of activities and festivals for visitors and residents alike. If you're in the Ohio state capital for Labor Day weekend, it's worth stopping by a few of the city's annual events. The Greek Festival has been a Columbus Labor Day tradition for decades. The four-day celebration is on from Friday through Monday of Labor Day Weekend at the Annunciation Greek Orthodox Cathedral, on Goodale Boulevard and High Street. Immerse yourself in Greek culture, food, and entertainment. Get ready to taste traditional Greek food like dolmades, pastitsio, moussaka, keftedes, gyros, tyropita, and baklava sundaes. It's worth a visit just to eat your way through the festival, and all food stands take both cash and credit card. You'll also find jewelry, clothing, and art objects imported from Greece in festival shops, as well as packaged Greek food to buy. Dancers perform Greek moves to the festival's bouzouki music in full traditional dress, and they'll teach you how to dance. You can also take a tour of the cathedral to learn about its impressive mosaics and marble. Running since 1983, the Labor Day Arts Festival is one of the top events of the weekend. Located in Northam Park in Upper Arlington, Ohio, it is about a 10-minute drive from Columbus. Roughly 200 local, regional and national artists set up at the event to sell their wares, which are made from a wide range of media. As you peruse the works of art, make sure to stop for a bite to eat from the many food vendors at the festival and check out performances from local musicians on the festival's two stages. This one-day event held on Labor Day itself often attracts about 25,000 people. During this traveling music festival, you can expect a line-up of more than 35 hip-hop performers and electronic dance music artists as well as local musicians across the festival's three stages. Past headliners include Travis Scott, Lil Yachty, Diplo, Galantis, Chance the Rapper, Rae Sremmurd, Kendrick Lamar, Empire of the Sun, Twenty One Pilots, and Gryffin. The event is held at MAPFRE Stadium, the soccer stadium located within walking distance from the Ohio State University, just 10 minutes north of downtown Columbus.